Now Why Did Charles Spurgeon Have to Go and Prophesy? As many will know, the Strange Fire Conference, headed up by John MacArthur, exploded within the blogosphere world this past week. The main thrust of the conference was to challenge the charismatic-continuationist movement of the past 100 years, with some pretty heavy-handed, sweeping charges against a movement that is well over 500 million strong. I did share some brief thoughts, also linking to some of the more important articles I read from other charismatic-continuationists (with one coming from a non-charismatic). But, I was interested to find a short video in one of Adrian Warnock’s articles. The video actually consists of a short exposition from Sam Storms (well-known reformed, charismatic-continuationist). In the video, Storms lays out some interesting prophecies (or words of knowledge) given by the famous British preacher, Charles Haddon Spurgeon. Last week, I began some posts on the gift of prophecy and the ministry of the prophet. I believe it is a given, both biblically and practically, that these giftings-ministries are both needed and given today. Christ, the great prophet, expected his church to be a prophetic body empowered by the prophetic Spirit. This wasn’t to end with the affirmation of a canon of Scripture. Rather, with the Scripture acting as a standard, the body of Christ was to get on with not only it’s priestly and kingly ministries, but also its prophetic ministry. And thankfully, Christ has gifted specific people as prophets to equip the people of God to hear God and speak faithfully on behalf of God. a) Prophecy is mainly about prediction. I alluded to this one in my previous article, but I think it worth fleshing out a bit more. I suppose, at least for some, the word prediction makes one think of all types of spooky stuff – palm reading, fortune-telling, etc. It’s part and parcel to the spookiness that exists around terms like prophecy and revelation. And, some of it is warranted when you consider the practice of certain folk today. Or, even more, we turn to the Bible, our minds mainly recall the predictive texts, especially the ones that were to point to Christ. But, again, this is not inherent. Just like shouting and street corner-preaching is not the innate characteristic of an evangelist. Just like 45-minute sermons are not implicit in the shepherding call. Just like Scripture-writing is not inherent to apostolic ministry. Somehow these words can easily be adjusted to say: The revelation from Jesus Christ, which God gave him to show his servants what must soon take place when these things begin. They haven’t begun yet (or maybe they have now), but they will begin one day, in the distant future from John. And then these things will soon take place from that day forward from when things were set in motion. But that’s not what John is getting at. Revelation speaks to the church of his day, even 7 churches in the area of Asia. Of course, some of this does have a predictive element. If John or the prophets of old were speaking into their day, they were preparing people for situations that were going to take place in the future for them. Nevertheless, the element of prediction is smaller than we might imagine. This, again, is due to the nature of prophecy – the word of the Lord into particular ongoing situations. Into Israel, in to Judah, into Rome, into Galatia, into Jewish Christians of the early decades, into churches in Asia minor. So,what does a non-predictive prophecy look like? Very real. Very practical. Very much into the current life of the church. Prophecy is firstly about speaking forth the word of the Lord for now. b) Prophecy is mainly about rebuke. This is another misnomer that hangs in the air with regards to prophecy. But a quick glance at 1 Cor 14:3 reminds us of one central goal with prophecy. But the one who prophesies speaks to people for their strengthening, encouraging and comfort. Therefore, I would say a helpful and good working definition for prophecy is this: a Spirit-inspired, intelligible, verbally delivered message intended to edify, encourage and comfort other believers. 3) Prophecy is mainly word-for-word. It took a while, but the evangelical church as a whole has mainly moved away from more of a dictation concept with regards to the inspiration of Scripture. This view basically sees the words of Scripture as given either through an audible voice or through the direct hearing of God’s voice in a visionary context. But we know that some of the writers utilised first and second-hand testimony, varying documents and sources and accounts available at the time, oral traditions, etc. Very practical stuff for assisting these wise authors and compilers of Scripture. Of course, we are not sure how much of Scripture records more direct revelation and how much of it is providential revelation, if you will. Nevertheless, the point is we recognise that Scripture is not a dictated text. But, while some may recognise that certain portions of Scripture are not dictated (genealogies, proverbs, reports in the Gospels, etc), maybe there still remains an underlying thought that at least the detailed words of the prophets were pretty much word-for-word speeches and written recordings of God’s revelation. Now, I don’t disagree that some prophetic messages were given in a more direct sense (at least as direct as it can be from God in all his God-ness speaking to finite and fallen humans). But I also am convinced that absolute direct speech from God, which is then disseminated from one person to another person or group of people, is not inherent to prophecy. Why would I say such? Of course, one could argue that what is being communicated here is this: No one person sees the whole picture and counsel of God. But the picture (via words) that is given from God is complete in that picture itself. It’s plausible. And we cannot really argue in detail one way or the other. But, let’s simply consider something practical: Let’s say God gives a revelation of his fatherly care for people. Do we really think that one particular revelation is going to come in all its fulness? What about God’s rightness and faithfulness? If God were to open his mouth and explain to finite and fallen humans how right-eous and faithful he is, how’s that gonna play out? Yeah, I’m thinking it’s not only a piece of the entire counsel of God, but it’s a small piece of the entire counsel of God on that one facet of his character, purpose and plan. Again: For we know in part and we prophesy in part. And, though some will feel quite uncomfortable with me suggesting something from experience, I can simply testify that the outworking of prophecy seems to move along in this direction. Sometimes the voice is more clear cut than others. But sometimes it comes through what we sense in our spirit’s, in the deep parts of who we are. It’s not so clear, but the communication still comes forth with a prophetic edge, functioning along the lines of the ever-important goal found on Paul’s pen in 1 Cor 12:7 and 14:3. We can know his voice. But only in part. We can speak forth the word of the Lord. But never in fulness. Prophecy was never meant as a word-for-word dictation message from God via a human. It’s not unlike the goal of the spiritual gift known as interpretation of tongues. The point is not to interpret from the tongue to the known language of the church in direct word-for-word form. It is to communicate the message of the tongue, the heart and thesis of what the Spirit is looking to see communicated. I’ve seen prophecy on a regular basis for the almost 16 years of my life in Christ and I could never be moved to see it as something foregone, ending a long time ago with the finished product of our canon of Scripture. And I have not only known prophecy and revelation to come forth today, but I have also known the true fruit to come from it, that of edification, strengthening, encouragement, exhortation and the common good. Maybe it’s time we let down our guard and begin to a) listen to him and b) build relationships with men and women of God that are faithfully and healthily looking to do the same. Not too long ago, I took some time and read a major portion of the Old Testament. Basically Genesis to 2 Chronicles. Not all in one day. Heavens no! But over a couple of months. It was good to read larger chunks, to get the sweeping history of the Hebrew people and God’s work amongst them. But there was one thing that did catch me by surprise, especially as I read the books of Samuel and Kings. You might have not noticed it before. And the thing is, I would have expected me to previously notice, since I’m one of those charismatics around here. There were a whole lot of prophets in the time of the ancient Israelites. I mean a whole lot. 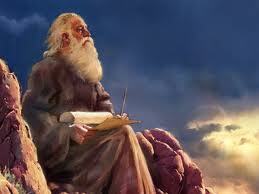 Search the word prophet in just the books of 1-2 Samuel and 1-2 Kings and the word arises about 100 times. But it’s easy to miss this. Well, I think when you have a particular theology that says a prophet is this or that, and this or that alone, then it’s easy to either miss or skip over what is right there in front of us. It’s quite like the ministry gift of apostle. When people normally talk about apostles, what they have in mind is either the twelve or the twelve plus Paul. Of course, these 13 were apostles in the early church. But they were not the only ones. And I am also convinced that starting with the 12 and Paul shows our off-base approach from the beginning, mainly because we are have forgot to start with the greatest apostle of all time. You know, that guy named Jesus. Nope, not Paul. Not Peter. Not even John. It was Jesus – the sent-one from the Father, apostled with a specific mission to accomplish. But, even after rightly starting with Christ, and then moving to the 12 and Paul, we forget that the New Testament mentions up to another 10 apostles. People like Barnabas, Apollos, James, Silas, Timothy and others. I’ve set out why I believe there were other apostles besides the twelve and Paul, which you can read in part 1 and part 2. I didn’t really head into this Old Testament reading with a plan to catch every time it spoke of a prophet or prophets. It kind of just caught my attention unlike before in reading the Old Testament. Call it a specific Holy Spirit thing or simply what you will. But I was blown away how the word kept coming up over and over again. One thing I also noticed is how many times it spoke of prophets (plural) being together, rather than just a single guy (or lady) here or there. In 1 Sam 10 we read about a procession of prophets. We are told of a group of prophets in 1 Sam 19:20. We read in 1 Kings 18 that, while Jezebeel was trying to kill off Yahweh’s prophets, a guy named Obadiah, not the prophet, was saving a hundred prophets of the Lord. So when Elijah says at Mount Carmel that he’s the only prophet of Yahweh left (1 Kings 18:22), he is communicating that he is the only one that is not in hiding. Quite overwhelming when you start to look at the biblical text and the wider spectrum of the prophetic ministry. You might walk away thinking these prophets were everywhere. In all, being reminded that such a ministry was more active amongst God’s people than first imagined, I have 3 points that come to me. These are points that I already believed about the ministry of the prophet, but they were even more highlighted in my recent reading of the Old Testament. It’s true. 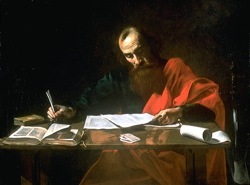 A prophet is not mainly called to be an Old Testament Scripture writer, just as an apostle is not primarily called to pen New Testament Scripture. They might have and some did. But this is not essential. That’s why only a few did so in comparison to the wider nature of these two ministries. In the end, a prophet is one bearing a message from God, the ‘word of the Lord’, whether that message gets put to paper or not. Therefore, while I love Scripture and appreciate the prophets who did have their hand in it, we must continually be reminded this is not essential to the prophetic ministry. And this is why, as I will again argue later, I think it very reasonable to acknowledge the prophetic gift has continued today, since it was not solely wrapped up in the production of Scripture. Half of this point is not too disconnected from the first. The Hebrew community preserved the revelation given to them by their prophets of old, with a solid portion being penned as part of Scripture. But the word of the Lord was continually active para-Scripture, meaning alongside it’s recording. Matter of fact, with Scripture normatively being written after the spoken message was brought forth by the prophet, the plentitude of prophets were functioning in a similar vein as the well-known prophets. They were speaking the word and counsel of the Lord. But, even more, because God was always speaking and revealing himself alongside the writing of Scripture, I think this gives precedence to the continuation of the gift and ministry today, even after having a canon of Scripture. Scripture was never given back then to replace the active ministry of the prophet. And Scripture is not here now to replace this needed ministry. I’m not saying prophecies today need to be placed in the canon, somewhere after 3 John. We have a canon and a canon remains a measuring stick. And I do not believe prophecy adds anything to the redemptive revelation in Christ. But Paul makes it very clear that this ministry role is extremely important for the body of Christ. Check out passages like Eph 2:20; 3:5; 4:11-13; 1 Cor 12:28. This is one of the five ministries given to help equip the church to be all that Christ desires it to be. I’d say it’s not optional. Prophets functioned alongside the writing of Scripture in both the ‘Old’ and ‘New Testament’ times. And prophets are to continue functioning even after both have been finalised. As I mentioned above, I was struck during this reading with how many times I read about the plurality of prophets – the procession of prophets, the group of prophets. It’s probably not unlikely that there were schools of prophets where people were trained for this ministry. Something of that nature. And amongst a larger group of prophets, there would have been lead prophets – people like Samuel or Elijah. Maybe some functioned as a kind of counsel, while others had a stronger ministry with specific prophetic insights, and then others came to the forefront as lead prophets, even finding their messages in holy writ. But we should not simply blow these ‘other’ prophets aside as somehow unimportant. And this is why – God is all about teamwork. Think about Father, Son and Spirit. Think about God’s empowering the church to accomplish his mission. Things about God getting his revelation to humanity. It’s team. Always has been and always will be. And, so, these prophets worked together as team. It’s not unlike when we turn to the pages of the New Testament and consider apostolic ministry. I am very willing to recognise that someone like John or Peter or Paul had a stronger measure of apostolic ministry as compared with a Barnabas or Apollos or James. But they were still all very much apostles. The same holds true with prophets. I am thankful for Isaiah or Ezekiel. But we also miss something if we think Nathan, Gad, Huldah, and others were inconsequential. Each had their measure of gifting, their anointing, their calling and we should give space for each to function in their own measure. The same stands true for teachers, shepherds and evangelists. Though I am a teacher, my measure of gifting is my measure of gifting and not that of a Scot McKnight or NT Wright or Jamie Smith or Ben Witherington. But, regardless of measure, prophets or teachers or apostles or whomever are called to work in team. That’s what I believe Ephesians 4:11-13 is all about – the five ministries of the ascended Christ working together to equip and prepare God’s people for ministry themselves. This is why apostles and prophets work together to lay proper foundations in the local church. There is no lone-ranger prophet, nor apostle, nor pastor. There is only team. God functions this way. Family is to function this way. The body of Christ is to function this way. So, in all, I hope something fresh has been opened up in the Scriptures in regards to the prophetic ministry. And I hope our eyes have been opened a bit more to the reality that a) the ministry of the prophet is much wider than we sometimes allow and b) that God always desired that this important ministry continue even now.